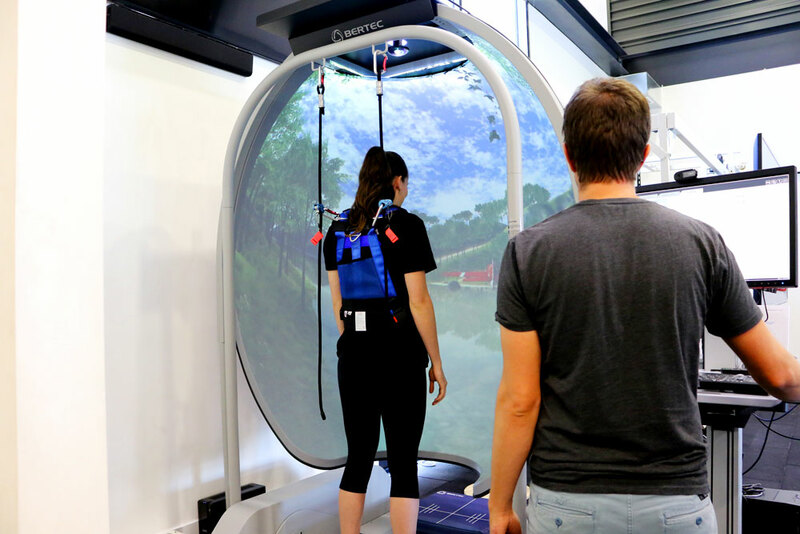 6 April 2018: World-class balance technology at the University of Canberra may accelerate the recovery of athletes who have suffered concussion and help them return to action sooner than previously possible. The University’s Research Institute for Sport and Exercise (UCRISE) has partnered with Canberra’s elite sporting teams to assist staff and players to manage head injuries. In an Australian first, researchers at UCRISE are using a system previously only available in North America to monitor the brain activity of players with suspected concussion. 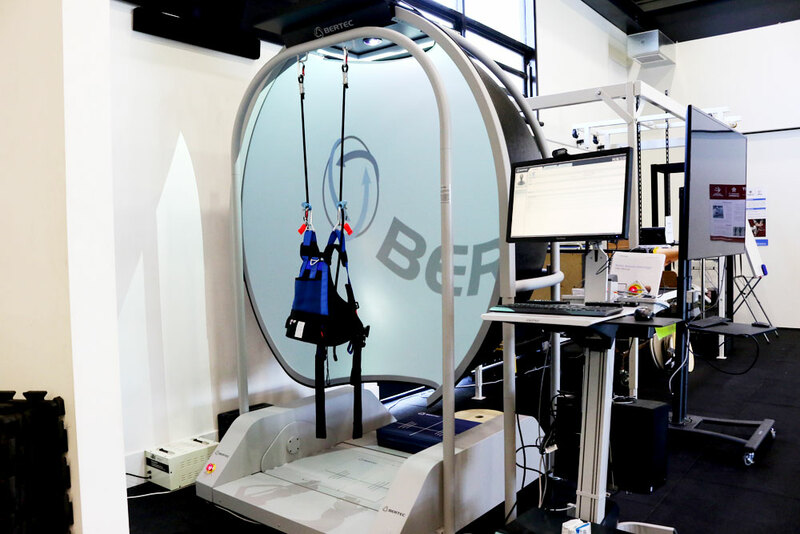 The Bertec Balance Advantage System uses immersive virtual reality technology to assess players’ balance control. Photo: Vanessa Lam. The Institute’s Director, Professor Gordon Waddington, said the technology was the most advanced on the planet. “This device, in combination with the technology we’ve already developed, heralds the most comprehensive approach yet to treating athletes who may have suffered concussion,” Professor Waddington said. The system uses immersive virtual reality technology to assess players’ balance control. It collects objective patient data which can be used to evaluate an athlete, make treatment decisions, and help monitor their progress. “Athletes will undergo baseline testing so if they suffer a head knock during the season, we can see if their visual, inner ear or their muscle function has been affected,” Professor Waddington said. “The study that we’re looking at here is observing whether we can detect very subtle changes in those areas over a long period of time. The system will be used in conjunction with existing innovative technology developed by researchers from the University and the Australian Institute of Sport. The ACT Brumbies, Canberra Raiders, University of Canberra Capitals and the University’s women’s rugby sevens team will all benefit from the new technology. Brumbies Head Physiotherapist Byron Field said the club, which is based at the University’s Bruce campus, was fortunate to have world-class technology on its doorstep. “We’re really grateful for the partnership we have with UCRISE and the University of Canberra to enable our players to have the best possible care after a head knock,” Mr Field said. While the system will be primarily used on athletes with suspected concussion, it will also advance the Institute’s work with NASA to ensure astronauts are able to walk on the surface of Mars in the future.